The International Federation of Human Genetics Societies (IFHGS) conducts an International Congress of Human Genetics (ICHG) every 5 years, since its inception in 1956. 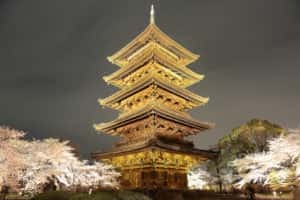 For the first time in 60 years, the International Congress will be hosted in Asia – in the mystical city of Kyoto. From April 3rd to 7th, the 13th International Congress of Human Genetics will be held at the International Conference Center in Kyoto, Japan. We look forward to participating in discussions about the latest advancements in genomics amidst the stunning beauty of the blooming cherry blossoms and the majestic architecture of the innumerable shrines in this ancient city. So what do we have planned for you in Kyoto? Abstract: In this lunch seminar, Dr. Mitsuhashi will explain how her team used next-generation sequencing to develop a rapid and cost-effective mutation identification workflow for a clinical research lab. Stop by and see us at booth #45 and learn how our complete suite of genetic analysis solutions can help advance your clinical research. Ion S5™ sequencer – In combination with the Ion Chef™ system for automated library and template preparation, the Ion S5 next-generation sequencing systems enable the simplest targeted sequencing workflow for your lab. Minor Variant Finder Software – The new Applied Biosystems™ Minor Variant Finder (MVF) software enables you to detect 5% minor variants at sensitivity above 96% and specificity above 99.8% from your Sanger sequencing data. Don’t forget to stop by our booth and check out these exciting new products. See you in Kyoto next week. P.S. If you can’t make it to ICHG 2016, feel free to check out our demo videos and see how you can get started with next-generation sequencing in your lab.